Dr Stephen Morris provides compassionate and professional obstetric care for women during pregnancy and childbirth, working with women and their partners to facilitate a successful and enjoyable birth process. His aim is to create a non-judgmental environment where different choices and options surrounding the birth of your child can be discussed. Dr Stephen Morris incorporates his extensive experience and knowledge of pregnancy and childbirth together with his interest and understanding of high-risk obstetrics to create a supportive and involved experience for every couple. Dr Stephen Morris uses advanced ultrasound technology, including 4D, to monitor the progress of your baby and enable you to see and hear them throughout your pregnancy. 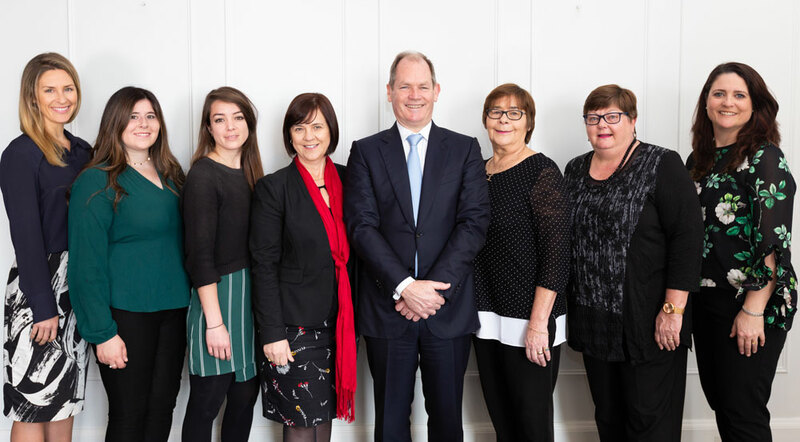 To provide you with the most comprehensive and supportive care possible, Dr Stephen Morris employs a team of very experienced midwives, including a lactation consultant. All patients, as part of their care, receive regular antenatal consultations with a midwife, access to midwifery advice and support outside appointments when required, and antenatal breastfeeding education. Dr Stephen Morris also offers his patients a comprehensive range of antenatal and postnatal education classes, so that patients are equipped with the skills and knowledge necessary for a confident and enjoyable pregnancy and birth. Dr Stephen Morris supports natural births; including water birth, vaginal twin birth and external cephalic version (ECV) at term. Dr Stephen Morris also performs operative obstetrics including instrumental deliveries and Caesarean sections when necessary. 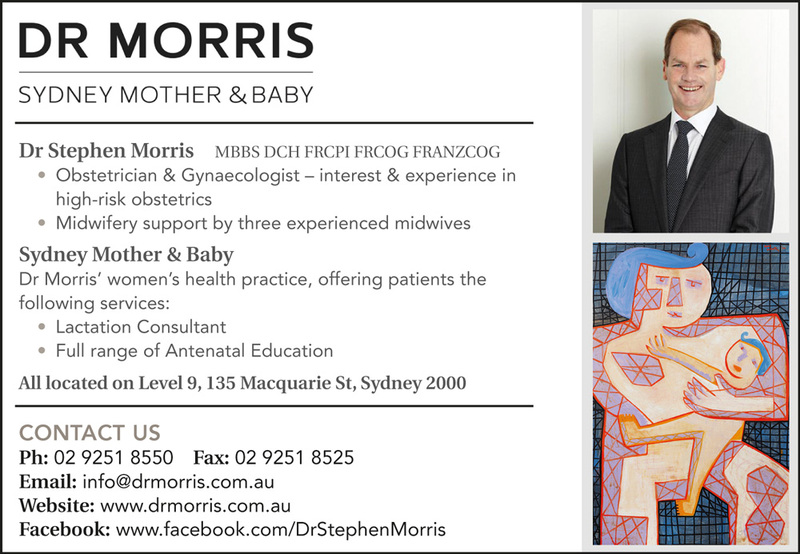 Dr Stephen Morris MBBS DCH FRCPI FRCOG FRANZCOG is a Fellow of the Royal Australian and New Zealand College of Obstetricians and Gynaecologists, Fellow of the Royal College of Obstetricians and Gynaecologists, United Kingdom and Fellow of The Royal College of Physicians of Ireland. He also holds a Diploma of Child Health from The University of Sydney. Dr Stephen Morris completed his undergraduate degree at the University of Sydney and undertook his residency at Royal Prince Alfred Hospital. Stephen was a senior registrar at Monash Medical Centre in Melbourne, where he obtained membership with the Royal Australian and New Zealand College of Obstetricians and Gynaecologists (RANZCOG). 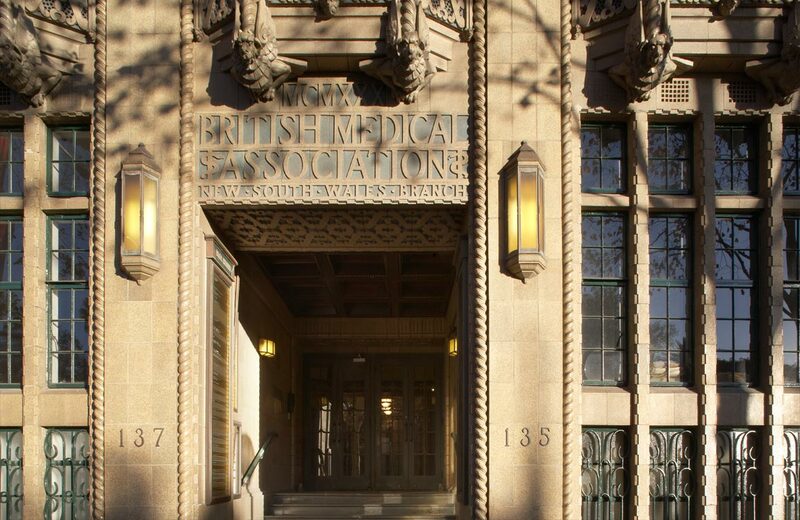 Following this, Dr Stephen Morris worked overseas for four years, commencing with two years at the National Maternity Hospital and the Rotunda in Dublin, followed by a year at Queen Charlottes Hospital and The Royal Free Hospital in London. He also spent a year working at Hospital Cochin in Paris. On his return to Australia, Dr Stephen Morris worked as a staff specialist at the Royal Prince Alfred Hospital with an interest in high-risk obstetrics, before commencing private practice as a Consultant Obstetrician Gynaecologist in 2002. If you have Medicare, you will require a referral to be eligible for rebates.